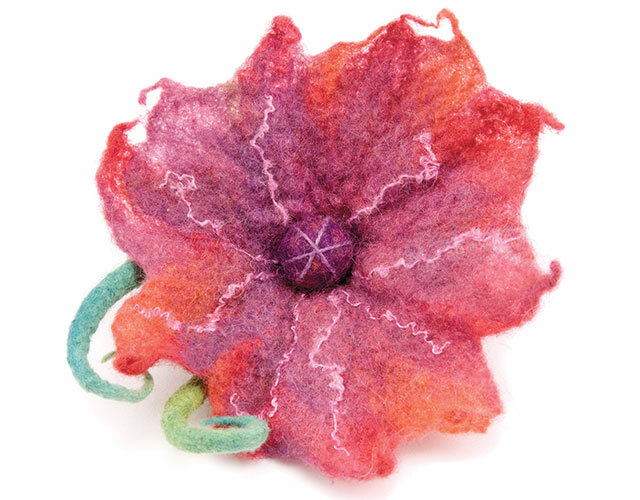 Learn how to turn dyed wool roving into beautiful, dimensional felted flowers with ordinary household supplies. Find out more in the Class Description below. 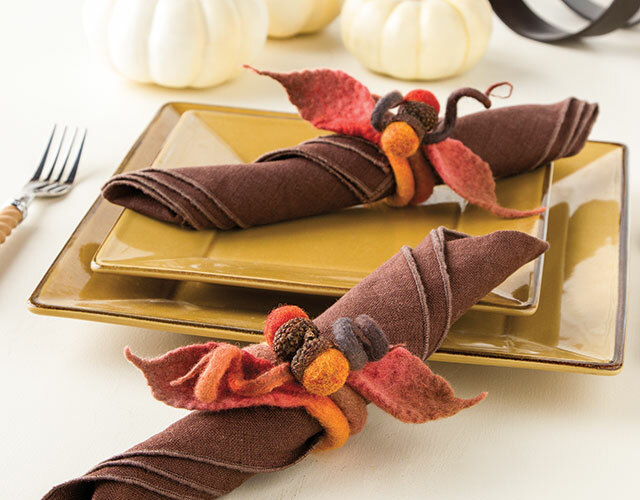 Learn how to turn dyed wool roving into beautiful and unique felted flowers with ordinary household supplies -- no special tools needed! 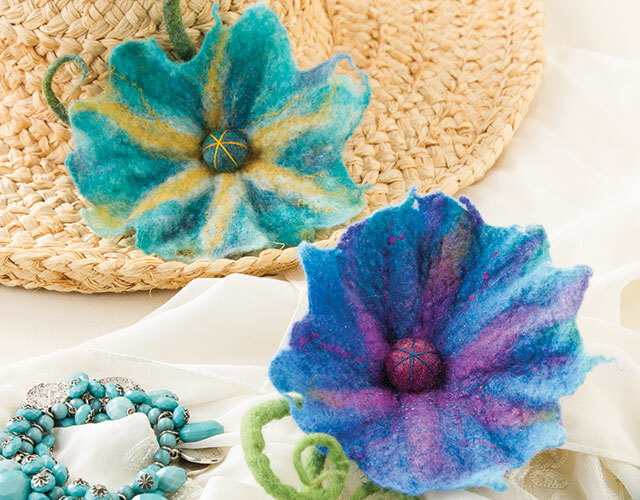 Join expert Vickie Clontz as she demonstrates wet-felting step-by-step to create vibrant, 3-D flowers, leaves and curly vines, perfect for wardrobe and accessory embellishments, table decor, jewelry and more! 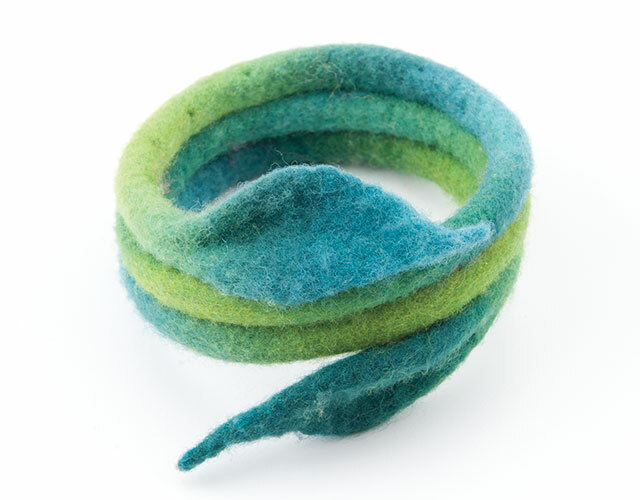 No felting experience is needed to succeed in this beginner-level class. 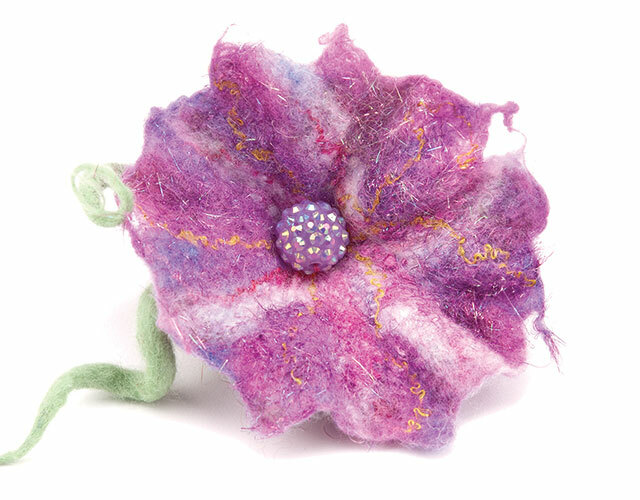 Class includes an inspiration gallery showcasing the many possibilities of how wet felted flowers can be used. She gives very good step by step instructions. I can't wait to buy all the supplies and get started. She is a very good teacher. So glad I bought this class. I bought this class for my Daughter so I can't give you a review. 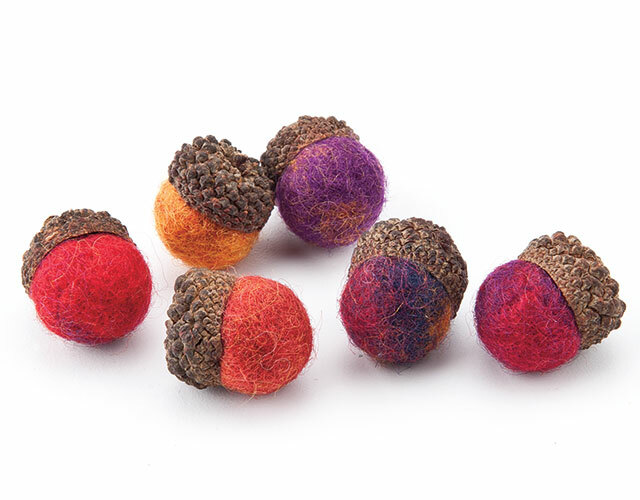 But the other kit's I have bought over time are excellent I love doing all of them .....Annie's is a great company, and love shopping with them I would recommend them to anyone. I am enjoying these classes. I did not think I could have so much fun. The instructor helps to make it so with her approach. I now just have to buy my supplies and I am off. I really enjoyed this class although I haven't completely watched it. I have printed it off & downloaded it. I found the instructor was very knowledgeable and spoke very clearly & slowly. I was very impressed with the results as I feel they are very "classy" cannot wait to get my supplies & try them, & would like to try some wall art like the picture behind her. I would defiantly take another class with her.